This was my final project for the facial rigging and animation class. 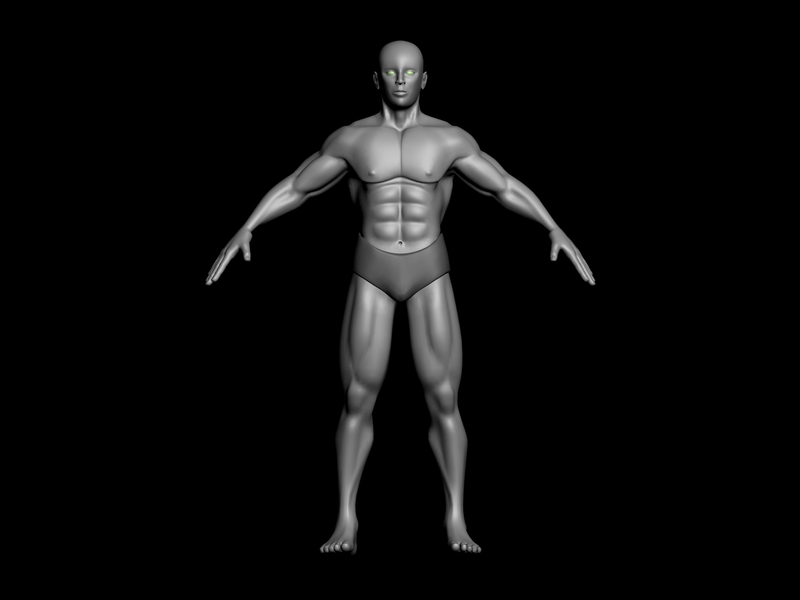 The face was rigged and animated my me and includes minute details of facial animation. For best quality i recommend downloading the video and playing to avoid any kind of lag in lip sync. Dialogue is from the movie “The beautiful Mind”. These renders were done a part of a freelance project i did for a bed sheet and linen company “HOUSE THIS!”. The bed sheet designs were done by the company itself and their 3D visualization was done by me. These are just a few of more than 100 images i rendered. The character animation project. I worked on this project when i was in India pursuing my diploma in Animation and visual effects. It was a 1.5 year project for which i was a part for about 3 months where i did character animation. We were working in 5 teams of 20-22 people each, all at different locations. Here are some of the short clips of animations i did as a part of it. It was one of my projects in (FNAR635)- 3D modelling and sculpturing. 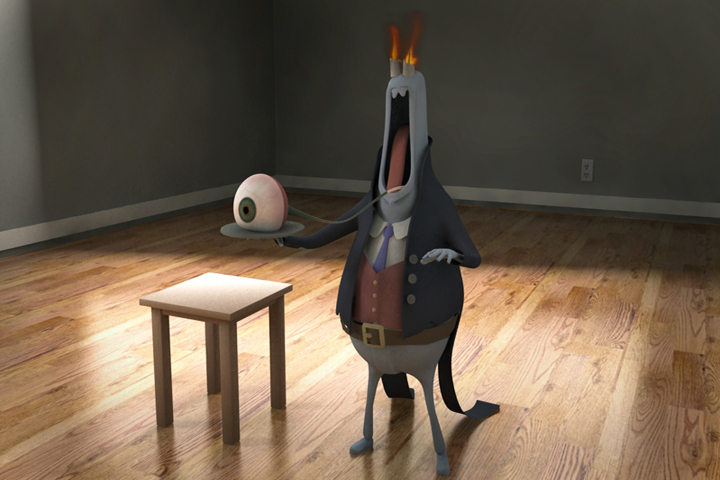 It was created in Maya using the V-Ray renderer. Did you notice a little fire simulation that i did on character’s head ? Another example of human model. This model was also created in Maya 2008 and is a complete polygon modelling. 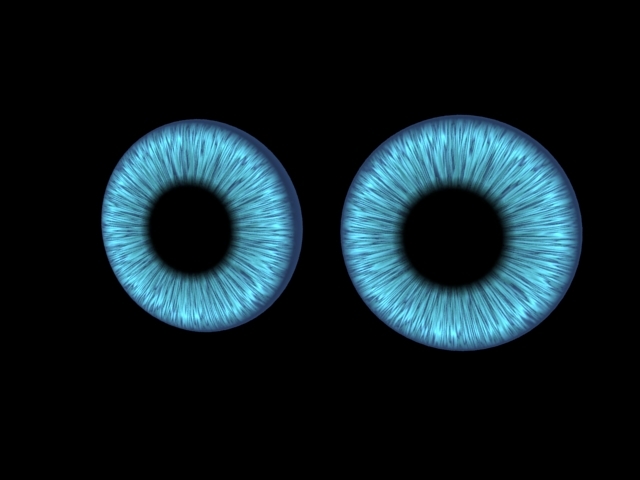 This is my first attempt at created procedural texture for cartoon eyes. The advantage to using the procedural textures is that it provides us with great deal off control over the look that we want to achieve. 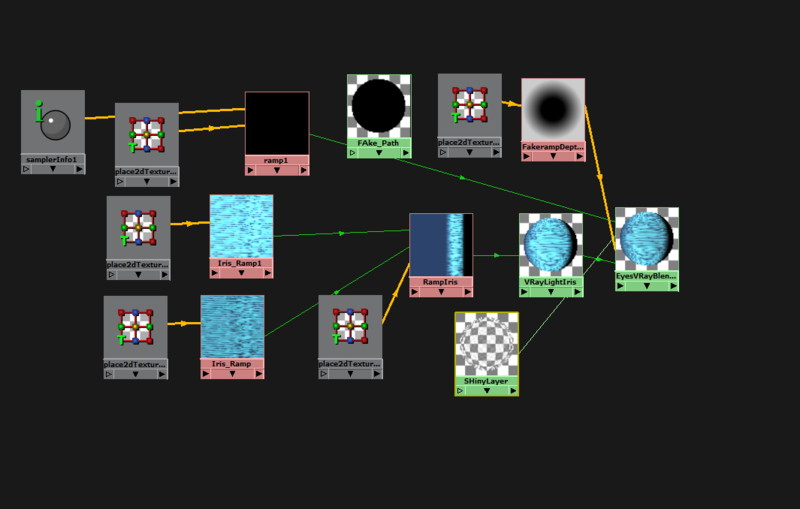 I truly understood the power of Ramp node while creating this texture. Well, i’d say procedural is the way to go !! This is digital painting was created from a black and white reference image. 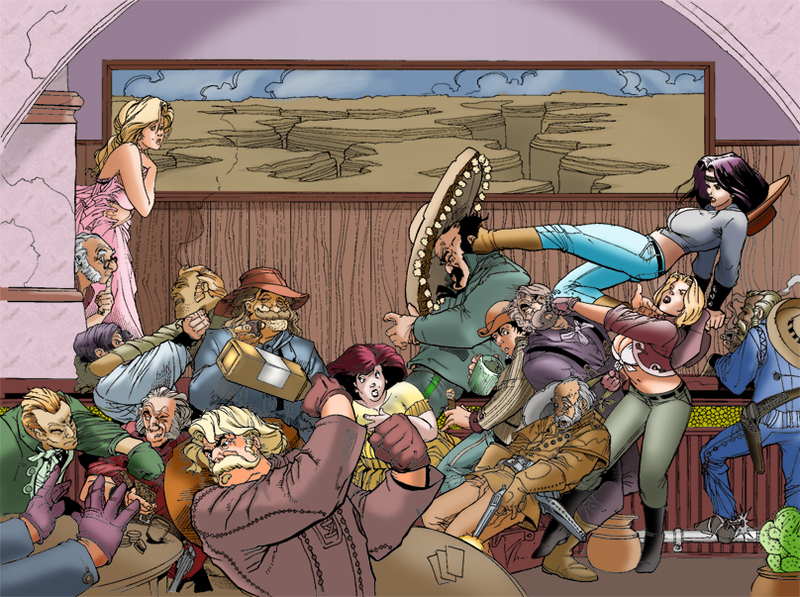 Every character was painted in a separate layer using the Highlights, Mid tones and Shadows palette of each color. Didn’t know you could color like that. That’s awesome. Hope you continue to animate!